Women serving time at a prison in Rio de Janeiro have swapped their uniforms for gowns to take part in a beauty pageant. 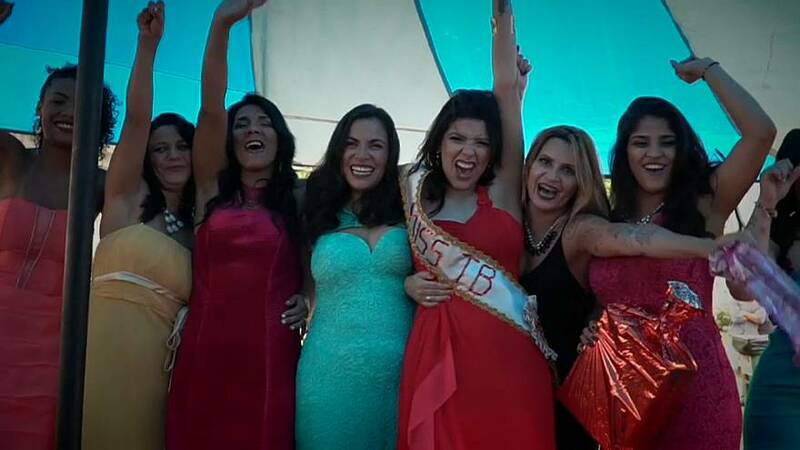 Volunteers style the hair and make-up of 10 inmates from the Talavera Bruce detention centre, who are judged for their beauty, sympathy and attitude in both formal and swimwear contests. “Everyone is very glad to be with their family. I feel nervous and at the same time happy. I just wish I had also won freedom as well and I would have taken my sash with me out of here.” said Mayana Alves, this year’s Miss Talavera Bruce. The prison’s other 440 inmates and family members are allowed to watch their loved ones strut their stuff as the competition to win beauty and styling products hot’s up. The event aims to improve the women’s self-esteem and is an opportunity to unite them with their family members whom they seldom see. “During this moment, I don’t feel like I am in jail,” said Michelle Rangel who is serving time for drug trafficking and was elected last year’s winner.